A unique feature of the Armenian Genocide has been the long-standing efforts of successive Turkish governments to deny its historicity and to hide the documentary evidence surrounding it. Denialists have claimed that there was no central decision taken by Ottoman authorities to exterminate the Armenians and that all available documents that indicate otherwise are either fake or were doctored by Armenians. 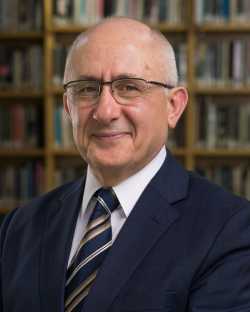 In this lecture, Professor Taner Akçam (Clark University) will explore how his latest research provides a major clarification of the often-blurred lines between facts and truth with regard to these events. 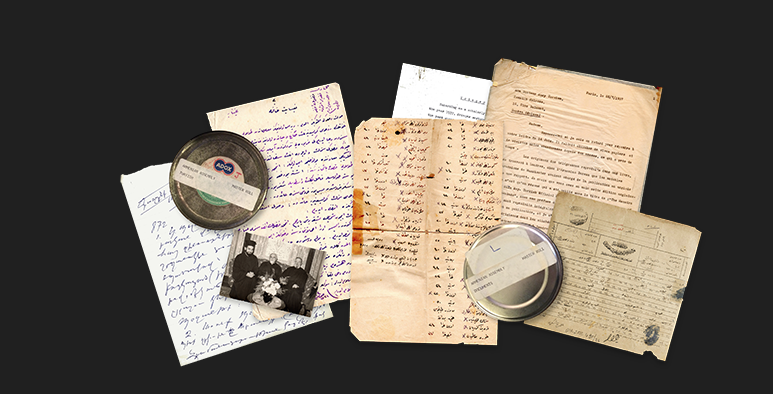 Akçam both brings to light documents either hidden or destroyed by the Turkish government that contain the killing orders, and demonstrates the authenticity of these orders, which had been signed by Ottoman Interior Minister Talat Pasha. He will introduce this new evidence and the online archive he has developed to provide the public access to these documents. 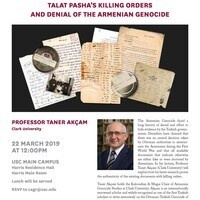 Taner Akçam holds the Kaloosdian & Mugar Chair of Armenian Genocide Studies at Clark University. Akçam is widely recognized as one of the first Turkish scholars to write extensively on the Ottoman-Turkish Genocide of the Armenians in the early 20th century. He is the author of more than ten scholarly works as well as numerous articles in Turkish, German, and English on the Armenian Genocide and Turkish nationalism. His most known books, A Shameful Act: The Armenian Genocide and the Question of Turkish Responsibility (Metropolitan Books, 2006) and Young Turks’ Crime Against Humanity: The Armenian Genocide and Ethnic Cleansing in the Ottoman Empire (Princeton University Press, 2012) have received several awards. Akçam’s latest book is Killing Orders: Talat Pasha’s Telegrams and the Armenian Genocide (Palgrave 2018). Lunch will be served. Click here to RSVP.